Few more experiences are shared in today's post. Sai Brother Adithya Ji from India says: During my school days, I never really believed in Sai Baba. 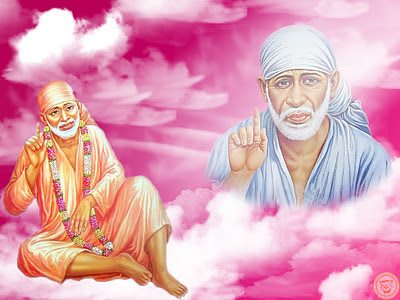 I was always spiritual, but never a Sai Bhakta. It is through a series of miracles that have unfolded over the last six years or so that I realized the true meaning of faith and Sainath's omniscience. Today, I can confidently say that I have found everything I need in terms of guidance in the Sri Sai Satcharitra. And at 19 years of age, my faith in Baba is unshakable and He is everything for me. I have a number of incidents that I could narrate as to how Baba's grace has saved me and my loved ones and everyone who has surrendered to Him. However, as I begin writing this post, I wished to narrate one very peculiar yet immensely inspiring incident. The readers would be surprised to know that I am choosing this one over absolutely unbelievable miracles like my dad's life being saved during a terrorist attack and his pulling through a major heart attack without even knowing it ONLY by drinking Baba's UDI mixed with water when his body was cold. This is probably one of the smaller miracles that Sainath has done for me, but it is most special. I was in my second year in hostel in Kolkata and I had purchased a new bike. It had just been given its temporary registration number and I had to write it down with a black felt pen by the next day. Somehow, it slipped in my mind. I left early next morning to a hall in Lake Gardens to perform my Aavaani Aavatam (Changing of thread ceremony performed annually by Brahmans). On the way, I was stepped by a Police vehicle and asked about my missing number plate. I had all the requisite documents to prove my vehicle's ownership and other things, but merely because I had not reproduced the number on the plate, I was being harassed by the two policemen. They were demanding exorbitant sums of money, which I really did not have and frankly, knew I did not need to pay as per law. But all that was meaningless as the two cops continuously pestered me for the cash and threatened to take my bike to the police station, which was far away. They refused to speak in Hindi or English and it was just worsening the situation as I could hardly understand most of what was being said. I don't know why but I felt so helpless that I felt like I was about to cry. At that moment, I invoked Baba in my mind and almost fought with Him to please help me. Within two minutes, a gentleman in civil clothes riding a motorbike stopped nearby, looking at the police vehicle. He came straight to me, took me aside and asked me what the matter was. I told him everything, realizing by then that he too was a cop. Just as I began pleading, he kept his hand on my shoulder, told me to relax and took me near the police car. He reproached both men severely in Bengali and returned my papers to me. He then assured me that if anybody stopped me on the way, I should simply take his name and that there would be no problem. Before I could thank him, he sped off. I began sobbing and was awestruck by Baba's all-pervasiveness. I remember this incident so fondly that even today it brings tears. I have traveled on that route several times after that day, but I have never seen the cop, who helped me. I don't expect to either. He was sent there to protect me by my real and only guardian, who never lets even the slightest problem touch me. He, who looks after me like a mother, with all the affection, spoiling me by showering me with much more than I require and having my back always, like a good father, never letting any calamity befall me. I just hope Baba's grace touches more and more lives everyday, which I am sure it does and that everyone can partake of this ocean of love. Anonymous Devotee from India says: I am a great Shirdi Sai devotee for the past 9 years and He speaks to me. I have experienced several miracles of Sai in my life. My second son (1.5 years old) was having high temperature of nearly 101 for more than 3 days. He couldn't eat or drink anything because he had mouth ulcer redness in his tongue. I was much worried because my husband suffered a dengue like fever few months ago and recovered with Sai's blessings. I did not want my son to suffer such a horrible fever. My husband, my two sons, and myself went to Sai temple since we were much worried for my second son. I left my mobile in my car and went inside the temple. While coming out, Prasadam was served "Puliyodarai". I got two cups and came out. My son, who didn't take anything for the last 3 days, grabbed the prasadam from me and started eating. It was quite spicy. Moreover his tongue was red and swollen because of Vitamin B deficiency. I was so happy that my son is having food. I just took my mobile to dial my mother and tell her about my son had prasadam. There was a message typed in my mobile in "write message" slot as "SAI FEEDED". I couldn't believe my eyes. Car is locked, no one was there. Mobile also was locked. How could a message come into my mobile? 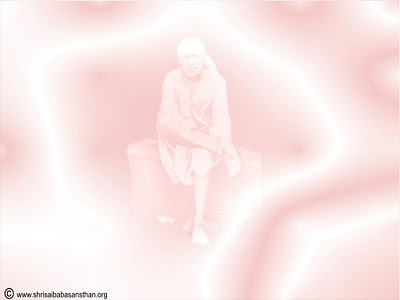 Sai's miracle in my life is infinite. My son became alright. My Sai is awesome, wonderful, my speaking God. Thank You Sai Baba. Anonymous Devotee from USA says: Hi All, We have 3 kids. We have been living in USA from last 5 years. We went to India to celebrate my twins 1st birthday. We went to stamping in India to get back to USA and visa got rejected and we disappointed a lot. We have all the stuff like car TV and other things in USA. Really we didn’t know we have to vacate the house or we have to pay the rent. We decided to pay the rent for few months as we like that place and house. By God’s grace, my husband client was agreed to work from India. One of my twin boy’s hand was broken and both twins got eye infections really don’t know what to do. We were praying all the Gods and going to all the temples. After few months again we went to stamping again. It was rejected. So we lost all the hope and vacated the home in USA. My friends helped to vacate the house and they did throw all the stuff. Really we couldn’t sleep for few days because we bought all that stuff with the hard work. One of my friends told me to do Sai 7 days parayanam. My husband and I did parayanam and we got some relief and slowly we were planning to stay in India. We decided to go to Shirdi and we went to Shirdi with all my family members. Once I saw the Baba in the temple I couldn’t stop crying and couldn’t come back from the temple. After few minutes, I relaxed and feels like whatever happens, it’s good for us only and Baba will take care of everything and went back to Hyderabad. After 1 week, we got the news that our H1 got reaffirmed and Hyderabad embassy asked us to come for stamping and we got the stamping. It’s all happened by Sai grace only, so again within 1 week my husband and I went to Shirdi again to tell the thanks to Baba. Baba we never forget You in our lives. If I have tension, every time I will do 7days parayanam and the problems will be gone and we will get piece of mind. We love You Baba. Mind Blowing experiences- I am in tears reading all these experiences. :)) You are divine Mother who understands all. I have no words for thnaking you- how you taking care of needs of everybody. How you ever saving me from everything. Please let me remember you ever & ever... Babaji please bless us to feel your presence ever & ever. Wonderful experiences. Thanks for sharing. On SaiRam. baba since so mny days iam suffering like this baba i am afraid that i will go into depression...you are also not caring me baba even you are ignoring my requests..i have only you.please give good days to me baba i am waiting..
om sai ram om sai ram om sai ram om sai ram om sai ram om sai ram om sai ram om sai ram. Aiyaa pls help those are calling out to you aiyaa they have only you aiyaa!!!!!!!!!!! Om sai ram.heart touching and faith increasing experiences.may all our souls blessed by sai maa.sai amma, take care of my family, my sister family, my parents and my brother.thank you baba. Dear Sai Family, i came across a request floated in my company regarding help for a small kid suffering from Cancer. Thought of posting it here, so that the child can get all of our Prayers and Good wishes along with any monetary help. This is a genuine case and the contact details is also shared. Let us all pray for the speedy recovery of the small child. Baba bless us all always. Baba please cure the child soon and bless the whole family. May all of us be always blessed with good health and a happy and long life by your benevolent grace. Loads of love to you dearest BABA. I am Magesh I work in automobiles company, the name of my company trident Hyundai no - 111, 124/ 125 'b' Narayanapura k.r pyramid Bangalore. I work here as Sr finance executive car loan department. As my son is undergoing treatment for Neuroblastoma stage 3 type of cancer. He is 6 year old. We are in Manipal hospital from two months. It is,a long go treatment as per doctor advice we have to do 6 chemotherapy & surgery & bone moretransplant. It I'll cost around 15 lakhs. Since we had some insurance covered from hdfc ergo up to 4 lacks which is already is been used .on 24 of September we r taking for is 3 chemotherapy we are praying to god for is miracle to heal completely. I am seeking help from you as much as you can. Bank Name: Oriental bank of commerce. Sadasivnagar branch Bangalore. Account holder’s name: Magesh d.
Please read the book 'Sai BABA is still alive' by 'Jaya Wahi'. It will boost your faith and show you numerous ways to do good deeds. Am sure you will be blessed soon. You can buy the book online from Flipkart or any other online store. May BABA bless us all always. You can also do the 9 Thursday Sai Vrat. Love you BABA and many thanks you for everything. May you keep blessing us all always with good health, long life, peace, prosperity, wealth, joyous relationships and happiness. Dont worry please drink udi with water.it is the best medicine.baba will soon bless you. Very nice experiences.Thanks for sharing the experiences because it boosts our energy very much!!! Thanks for sharing the experiences as it boosts our energy levels!!! First devotee-Dear Sai child Adithya your experience was absolutely beautiful. You are fortunate that at such a young age you realize Baba ji's presence and love. May your faith grow stronger each day. May Baba ji protect you always. Second devotee- Dear Sai child, lovely experience, many thamks for sharing it. Our Baba ji is GREAT. May He bless you and your family always. 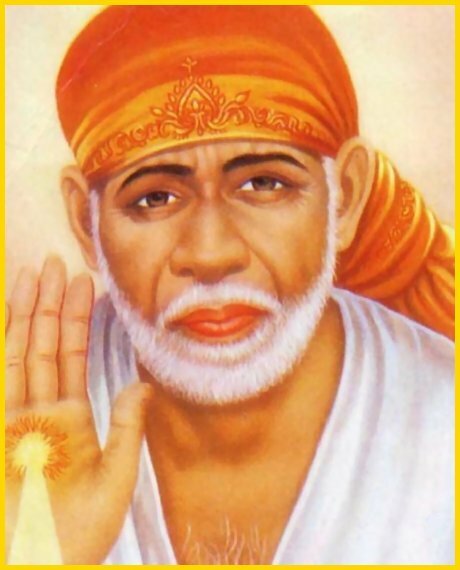 Third devotee- Dear Sai child what an experience! Baba's love cannot be measured. May Baba shower His Divine blessings on you and your family always. I just want to tell you all that we all have problems in all our life and sad at moments of our life.Even i am in the same situation and cried so much today in front of baba's photo.Sudden;y while browsing the net i came across a site "HOW TO BE HAPPY".when i read it through i got some confidence.And by watching the video i really got some happiness.I thought that baba gave me the message through it.So i wanted to share with you all so that it can be a relief for suffering devotees. As baba said we must have shraddha and saburi. om sai ram baba........thank u that u gave the the family time with my family with my husband.today m going to my husband home baba.fill his heart with love for me.make us togather like a husband and wife.i have full faith on u baba.bless both of us a blissful happy married life,om sai ram. Had missed the last 3 days and now reaping this rich harvest of experiences. Today's been a bonanza. Thank You Hetalji, Ranaji and Anilji for your efforts. His blessings are always there with you. O Deva, let our Faith in You never waver but get stronger ever. Let us ever hold Your feet and never let go of them and Your sayings O Sadguru. om sai namoh namh !!! Very nice experiences! Adithya Ji, it was certainly Baba who came as that other police officer to help save you and shows that Baba is not bound by any forms especially when it comes to helping His devotees. 2nd devotee, it was so nice that Baba sent you that message and only Baba can do something so wonderfully for His devotees. 3rd devotee, although the situation for your visa was grim and difficult, Baba helped you get through it and get the visa stamping all right just when things looked their worst. Om Sai Ram!